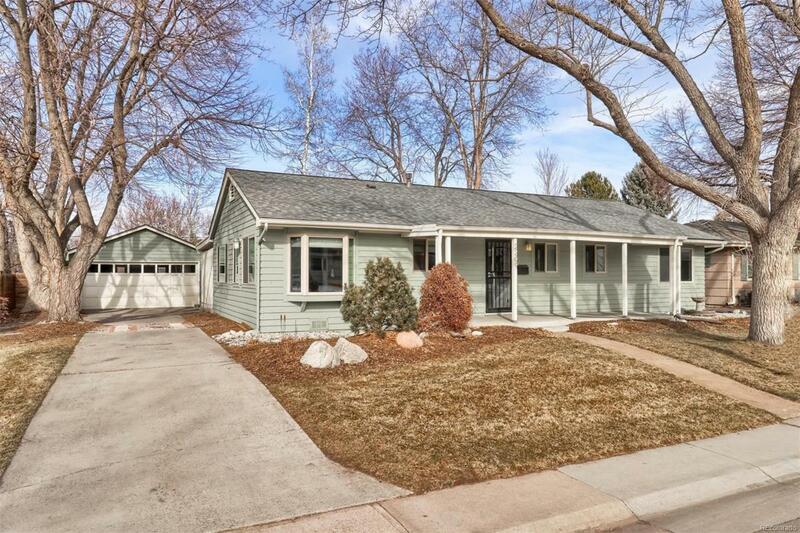 Enjoy this charming home that was totally renovated in 2013. It is light and airy with hardwood floors throughout. The new open kitchen has gas stove and slate floors. Enjoy all new bathrooms and windows. There are 3 bedrooms accented by stylish ceiling fans and window shades. The master bedroom has an ensuite bath with large shower and custom outfitted closet. This is a perfect home for many needs. Open flow style with inviting stone fireplace. Additional bonus room off the back can be a perfect office which opens to a covered patio on one side and on the other side an expansive deck overlooking the beautifully landscaped back yard with enchanting water feature surrounded by perennial gardens. Conveniently located within walking distance to desirable amenities such as the Fresh Fare market, Starbucks, Paxtis Pizza and in the coveted, award winning Cherry Hills Village elementary school district. Fabulous, welcoming neighbors. This is a great find in a sought-after area!